Jesus Diaz: Would the LRO return images of the moon landings when it flies over them? Grey Hautaluoma (NASA Headquarters, Office of Public Affairs): Yes, it will. We don't have a timeline yet for viewing the Apollo sites, but it will be in the near future. There you have it. Soon we will have photos showing the remains of the Apollo Lunar Modules, also known as LEM (Lunar Excursion Module.) Built by Grumman Aircraft Engineering, the Lunar Module was 20.9-foot tall, with a 14 feet diameter and a landing gear span of 29.75 feet. However, the Lunar Reconnoissance Orbiter will only be able to take photos of what is known as the Descent Stage, the bottom part of the LEM that housed the main propulsion system. This part was left on the Moon's surface, while the Ascent Stage launched after each mission to rendezvous with the Command Module orbiting around the Moon. Other remains left on the Moon include the Lunar Roving Vehicles, used in the Apollo J-class missions: Apollo 15, Apollo 16, and Apollo 17. Since they are 3-meter long, the LRO will be able to distinguish them as well. Click to viewOf course, the conspiracy theorist will say it's all Photoshop and 3D now. 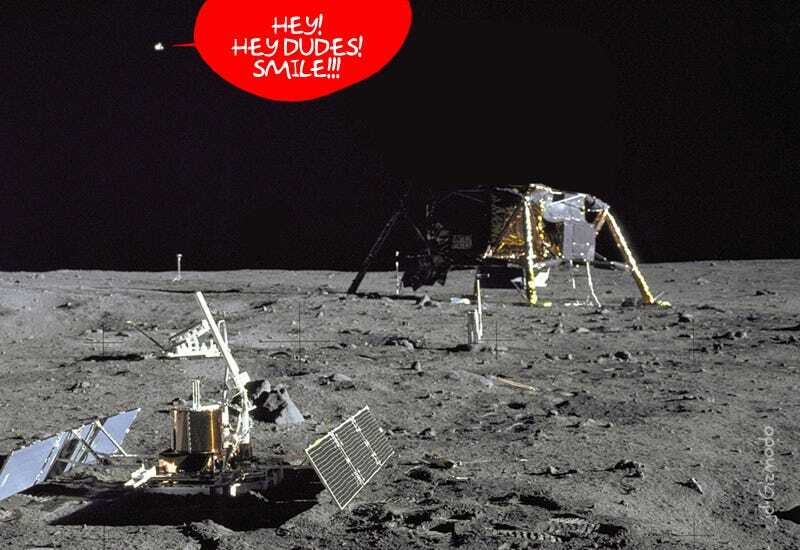 I wish I can do like Buzz Aldrin and smack each and everyone of them.